Matthew is the founder of Bee Influenced podcast, a weekly show where he interviews entrepreneurs. Ok everybody, welcome to The Fail Fast Podcast. Today with us, we have a young entrepreneur from Edmonton. He is a podcaster himself, he is a Bachelor of Business Administration. 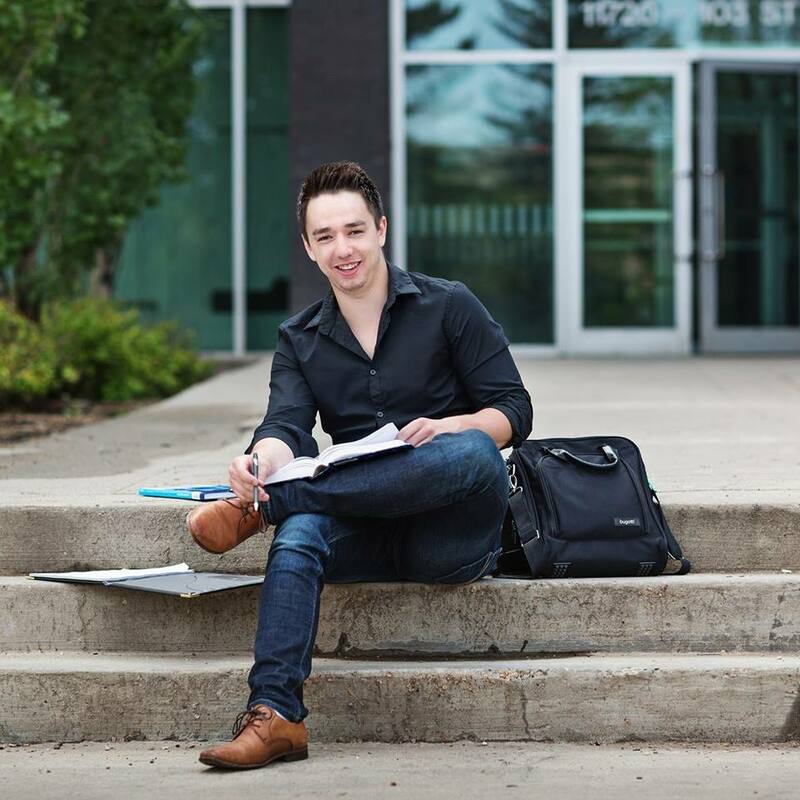 He currently works in marketing in… Like I said Edmonton, Alberta. We have Matthew Ankerstein with us today. Quin: Very good. It’s a pleasure having you. Thank you so much for finding the time to come here today. Quin: Of course if it comes up we can, oh yeah, we’ll follow along. but do you have a failure do you want to share with us, something that was a point in your life that you felt was not so good? Matthew: Yeah. I mean, like, I don’t always look…like the way I look at failure is really different than what I used to look at before I really went through [inaudible 01:29] program. The way I used to look at it was…and I still…maybe I actually…now I think that I really looked at it the same way. I look at it through – it’s an experience and that failure is actually a good thing in a lot of ways. I think that if you don’t have failures and you’re not really trying anything new then you’re not even moving yourself forward. So, when I recall the past year of my life, when regards…I’d just graduated from school back in May last year 2017. I worked every Summer see out school for four years, did construction jobs, operated heavy equipment, did landscaping. A bunch of different things to really afford the luxury to be able to go through school for four years and not have to take on student debt and stuff like that. As long as a major win, but as soon after I graduated out of college, out of the need for a BBA, I went into a job doing door-to-door sales actually. It’s for an alarm securities company…I’m actually…I’m not going to name the names or [inaudible 02:27] to protect the identities and stuff. Just going through my experience I really wanted to become a really good, high-performance individual. I really wanted to build out my sales career in a lot of ways, and I went out within a week – actually after I graduated, I graduated on the Friday of May 5th, I think [inaudible 02:51] last year, and I wanted to go job interview the day before I graduated, got it, and then I got shipped out through this guy that’s actually did door-to-door sales on the Monday without no training or anything like that. And, what I really learned from that experience, in short, was that…I’m [inaudible 03:10]…idea that when I look back I would say I honestly…[inaudible 03:14] I did door-to-door for about two months – it was a little under two months but a large part of the reason why I had this job was because I wasn’t making enough sales for myself to keep going at the end of the day, just being a recent graduate about four years throughout school. I learned like, man…I learned so much about framing, how you frame a conversation, how you lead to a sale; more of that stuff that I learned doing door-to-door sales and practicing it. Ten doors slammed in my face a thousand times really helps me do what I do say. Quin: So, after all those learnings actually came from you, you did end up getting any official training from them at any point? Matthew: Well, it’s funny because I think when I look back at it now, and then when you think about why my sales career in that regards for the two months, I learned so much about how things work in the fields and how you train conversations, and I learned that more or less everything you do nowadays is sales. Like this podcast is a sales interview in a lot of ways. If you’re meeting somebody at the bar [inaudible 06:43] girl or whatever, you’re selling yourself in some way, shape or form to a certain degree. If you go for a job interview you’re selling yourself, you’re selling your company, you’re selling your product. So, it’s really interesting. They can take more studies in understanding consumer behavior out of it. Quin: Absolutely. I agree 100%. I believe that and it’s funny how many people have no idea that every person that you talk to is always trying to sell something. It doesn’t have to be a physical product but there’s always something being sold, and it’s amazing sometimes take the time and actually try to notice ahead of time what am I being sold right now. Have you ever tried that?